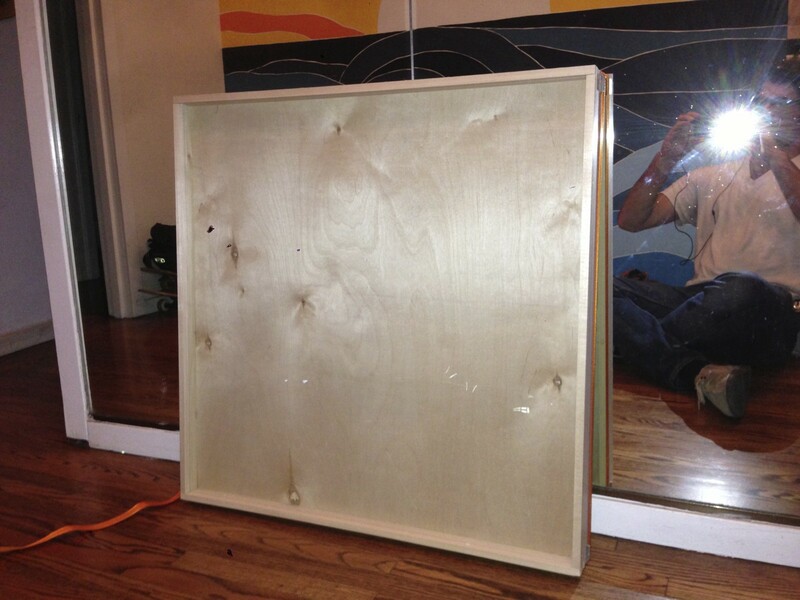 I asked google, and it turns out this is the first box joint picture frame. Ever. Not nearly as finicky to make as typical frames. Errors in miters compound 4x when you put them together. Not so with finger joints. Can make a very narrow frame because the box joint is much stronger than a miter, or even a keyed miter. In the picture above, the frame is 0.5" wide, while the photo is 30". Sleek! Narrow frame means emphasis is on the photo, where it should be, and not on the frame. None of that heavy gold leafed tarting up of the photo. Unique. As I said- its never been done before. Ask google. The frame no longer has rotational symmetry. The horizontal members overlap the vertical members on the last fingers. I’d guess this is why we don’t see box joint frames in nature. However, I think it looks pretty snazzy- and now the frame is bilaterally symmetrical, like a human face, which is very often what will be in the picture frame. But this hugely iconoclastic design move might be just too bold for the general public. I chose to make the frame very deep, so there was substance to it when the viewer approached, to make it a presence in the room. At the same time, when viewing the picture the frame all be disappears, as the frame is very narrow. The box joint allows the frame to achieve this best of both worlds.